So what’s gotten into the Swiss? We know they’re very good at banking and they never pick a side. They’ve got beautiful mountains which are great for skiing and yodeling, but apart from that, not much. Right? Oh, and now we know that they’re against PowerPoint. That is, some of them are. I couldn’t believe this week’s news when I read that a political party is rallying for a complete ban on PowerPoint. 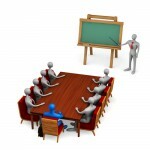 They argue that the average PowerPoint presentation is dull and costs a lot of time and money to prepare. In Europe alone, supposedly 110 billion euros are wasted on use and creation of slide decks. I disagree. Sure there are some people out there who don’t use the program to its fullest capabilities but it is essentially a visual presentation aid that helps people to communicate more efficiently. Because communication is improved, better, more informed decisions can be made. It’s that simple. On top of that, there are some great PowerPoint designers out there. I’ve had many sales presentations designed by a professional design company that really knew what they were doing. The result was an incredible presentation that helped me make more sales. However, how we feel about PowerPoint is not exactly the message here. Ask yourself this question: who is behind all this? Is it the Swiss government as suggested in the media? After a bit of digging I found out that the “political” party that is behind all this actually only has 200 members. That’s very small even for Swiss standards. And here’s the punch line: joining the political party gives you a special discount on a book about PowerPoint and put’s you on the mailing list for a presentation training company! The true lesson to be learned here isn’t that PowerPoint isn’t good or bad. It’s how a small Swiss presentation company managed to create a buzz and get the attention of the global media with its controversial ideas. By being incredibly controversial and shouting their ideas from the rooftops, the presentation company has gotten more publicity than ever before. Millions of people all over the world are now aware of them and I bet that they’ve sold lots of books over the past few days as well. 2 Responses to "Anti PowerPoint?" Hahaha Marijn. I see you get the point!